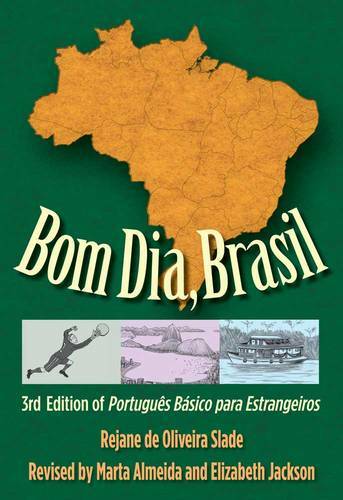 Bom Dia, Brasil is a completely revised and updated edition of the popular beginning Portuguese text Portugues Basico para Estrangeiros. It aims to teach the Portuguese language in a fast, interesting, and efficient way. The method employed engages students' interest by exploring personal, social, professional, and cultural topics, while providing them with the basic concepts needed to communicate effectively in Portuguese. Thirty-six thematic units in the book explore personal, social, professional, and cultural topics. Music, poetry, and other authentic materials present a panorama of contemporary Brazil. Bom Dia, Brasil features new illustrations, dialogues, pair activities, and research projects. Vocabulary, grammar, and listening exercises and activities are integrated into the book.